In the January 2009 issue of First Things Robert Louis Wilken, Professor of the History of Christianity at the University of Virginia, has powerfully argued that we must awaken to the extraordinary converting and staying power of Islam. Over the centuries he argues Christians "have seldom taken Islam with the seriousness it deserves or recognised it for what it is - a religion in the biblical tradition in which piety is wedded to statecraft." "Although in science, in the humanities, in technology, and in statecraft the West has far outdistanced the Muslim world, the practice of Islam has not been dislodged by the political and cultural hegemony of the West. [...] Turkey is a good example of the resilience of Islam in modern times." He warns against tending to dismiss "Islam as a historical relic, incapable of change and betterment, inimical to reason and science." Wilken goes on to praise the two Islamic Open Letters which followed Regensburg, as respectively "thoughtful" and "unprecedented" not least in suggesting, in A Common Word Between Us and You, that "the prophet Muhammad was, perhaps through inspiration, restating and alluding to the Bible's first commandment." This was, as requested by this letter, the starting point of the resultant 'Forum' in Rome last November. Wilken points out that the actual historical, cultural and geographical context of Islam must also be relevant to this dialogue. He does not give an analysis of what has given Islam seemingly greater staying power than Christianity - save for noting that "One of Islam's most enduring innovations was that religious law became also the law of the body politic" and that "Violence has been a persistent strain in Muslim history", referring to the respected Marshall Hodgson. "A Common Word was not intended to deny that God loved us first, as some Christians have opined. The knowledge that God loved man before man loved God is so obvious in Islam that we did not think we had to make it explicit. It is obvious because God obviously existed before His creation of the world and man. It is also evident in the very sacred formula that starts every chapter in the Holy Qur'an but one, and that begins every single legitimate act of any Muslim's entire life - Bism I Hah Al-Rahman Al-Rahim, In the Name of God, the Compassionate, the Merciful." He then goes on to mention one or two of the '99 names of Allah' which also "implicitly" (our emphasis) refer to God's love for us. After the fruitful November 'Forum' at the Vatican (see last edition of this column) for a while the official website for the A Common Word letter had on its home page a 14th November article from the United Arab Emirates' The National quality newspaper. The piece by Craig Nelson, associate editor, was entitled "Will mere talking bring about peace?" "The pope, in a 2007 Vatican proclamation, said Catholic Christianity was truer than Islam or Buddhism or Hinduism or even Protestant Christianity', said Prof Knitter, the Paul Tillich Professor of Theology, World Religions and Culture at Union Theological Seminary in New York. The articulation was considered unusual for a modern pope. 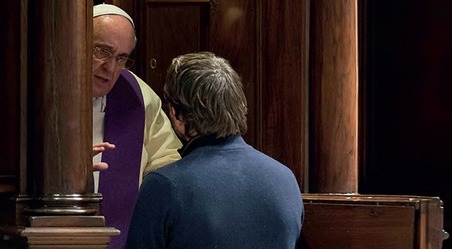 "'He sincerely wants to promote better relations with Islam, but it's not possible on the basis of the theology he espouses,' Prof Knitter said, alluding to a 2007 Vatican proclamation that Roman Catholicism provides the only true path to salvation. The statement was widely viewed as a move away from a period of more open dialogue with other faiths." Pope on Logos and Islam: Politics or Truth? The January 2009 edition of the journal Race and Class published a lecture entitled "A Syllabus of Errors: Pope Benedict XVI on Islam at Regensburg", which had been given to the 2008 Global Studies Conference at the University of Nebraska. In this Ralph Coury, Professor of History at the Jesuit Fairfield University, Connecticut, accused the Pope of falsely devaluing Islamic faith and culture. The Pope, he suggests, is self-consciously playing upon the European fear of an Islamic cultural takeover in order to promote a return to Christianity as the only solid basis to a civilised Europe. Coury's major argument is that the Pope was very wrong to make such a big distinction between the Greco-Christian view of reason and the prevailing Islamic one. According to the Regensburg lecture, the Islamic approach allows for the intelligibility of the idea that God might act capriciously. In response to this claim about the potential of the Islamic God, Coury (like others before him) changes the category and responds with actual acts of Allah, viz. the Qur'anic statement that "God prescribed mercy for himself", and other Islamic uses of reason. We would refer to our January 2007 editorial "Fostering the Regensburg Insight", especially the sub-section entitled "A Vital Debate within Islam". There we concluded that the various defences of Islam against the Pope's argument seem to miss and fall short of challenging his central point concerning "the necessary grounding of the nature of human reason in the nature of divine reason", indeed in God's very being as revealed by Christ. Using arguments of Aref AN Nayed, who has often appeared in this column, Coury points out that the Pope's (and St John's) personalistic depiction of 'Logos' goes well beyond the Greek concept. Coury concludes that "Benedict's conception of reason and the rational God are ill-defined." In the Regensburg address Pope Benedict talked of a "mutual enrichment" of Greek and Christian thought which enabled the tradition to see reason as "creative and capable of self-communication". The Pope did not go into detailed justification of this description. However it might not be out of place to note that this rich, personal conception would seem closer than Greek logic to how self-conscious humans normally experience being reasonable. Professor Coury brings out how the Islamic adherence to Greek-inspired philosophy and science which, as this column has highlighted, is widely acknowledged to have significantly diminished after the 12th century, was continued over later centuries by the Iranian Twelvers and the Hanafi legal school. He does not acknowledge let alone reflect upon the significantly more developed science and politics which Christian civilisation has enjoyed since the Renaissance. He makes the oft repeated accusation that the Pope should have quoted Al-Ghazali not Ibn Hazn (see our editorial for a response). Of the other "errors" proposed by Coury only one, concerning an historical attribution of a Qur'anic verse, is actually explicitly owned by the Pope as opposed to one of the people he quotes. was united with our mortal flesh once and for all and fully shared our condition, showing the superabundant power of his grace. Thus there is a special concept of the cosmos in Christianity which found its loftiest expression in medieval philosophy and theology. In our day too, it shows interesting signs of a new flourishing, thanks to the enthusiasm and faith of many scientists who following in Galileo's footsteps renounce neither reason nor faith. "Within this mysterious design simultaneously physical and metaphysical, which led to the appearance of the human being as the crowning of Creation's elements Jesus came into the world: 'born of woman' (Gal 4: 4), as St Paul writes. The Son of man himself epitomises the earth and Heaven, the Creation and the Creator, the flesh and the Spirit. He is the centre of the cosmos and of history, for in him the Author and his work are united without being confused with each other. "In the earthly Jesus the culmination of Creation and of history is found but in the Risen Christ this is surpassed: the passage through death to eternal life anticipates the point of the "recapitulation" of all things in Christ (cf. Eph 1:10). Indeed "all things", the Apostle wrote "were created through him and for him (Col 1: 16). And it is precisely with the resurrection of the dead that he became "pre-eminent in all things" (Col 1: 18). 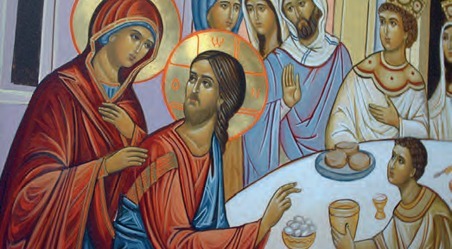 Jesus himself affirms this, appearing to his disciples after the Resurrection: "all authority in Heaven and on earth has been given to me" (Mt28: 18)."